​January 12, 2016 - Thanks to an epic night from Alabama running back Derrick Henry, the Crimson Tide finished off their national title bid with a 45-40 win over Clemson last night. But how would these teams have done against former versions of themselves? How would Nick Saban have handled the 1981 undefeated Clemson Tigers? How would Dabo Swinney’s boys fare against Bear Bryant’s 6-time champion Alabama teams of the 1960s and 70s? Of course, we’ll never know for sure, but pontificating about how players of different eras would compete against each other is one of the great sports bar debates of all time. We could play the same game with politicians. What would happen if Alabama’s and Clemson’s most famous political alumni fought against each other the only way politicians know how—i.e., through an election? We’ve got just that matchup for you today. As it happens, each of these schools has, among their alumni, a man who became governor of his respective state, and then ran unsuccessfully for president as a third-party candidate. So, let’s break down this hypothetical race for the White House. If the election were to be held today, who would win between Clemson class of 1923 Strom Thurmond and Alabama class of 1942 George Wallace? 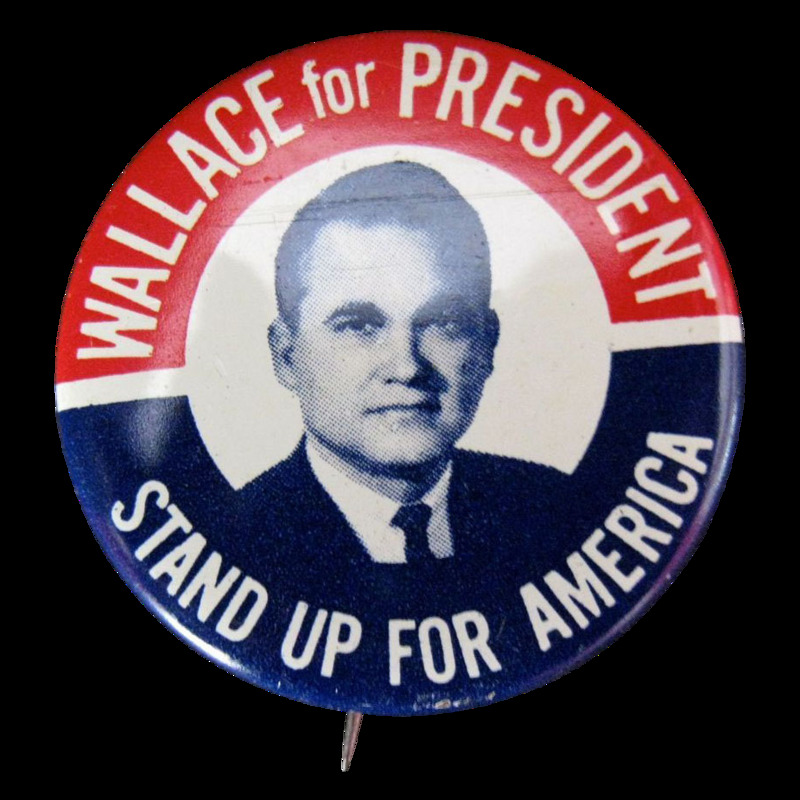 George Wallace ran for president as an American Independent in 1968. He won 5 states and 13.5% of the popular vote. Strom Thurmond ran for president as a Dixiecrat in 1948. He won 4 states and 2.4% of the popular vote. Wallace – Played himself in the movie Forrest Gump. Thurmond – Filibustered continuously for 24 hours and 18 minutes to protest the passage of the Civil Rights Act of 1957 (the longest filibuster in American history). Thurmond – "There's not enough troops in the army to force the southern people to break down segregation and admit the n***** race into our theatres into our swimming pools into our homes and into our churches." Advantage: Any candidate who runs against them. Why did they run as a third-party candidate? Wallace – Left Democratic party after the passage of the Civil Rights Act in 1964 in order to oppose desegregation efforts. 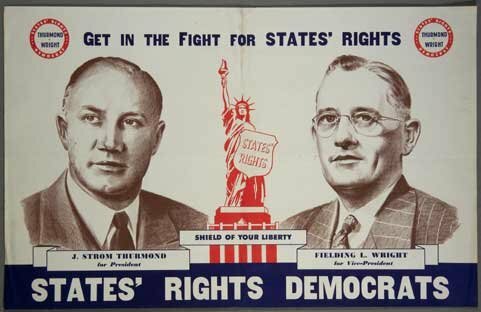 Thurmond – Left Democratic party after they introduced civil rights legislation into their 1948 party platform. Started his own party to oppose desegregation efforts. Thurmond – Fielding Lewis Wright was a World War I veteran and Governor of Mississippi during the 1948 election. While sharing Thurmond’s political philosophy, he somehow made segregation sound more genteel: "If any of you have become so deluded as to want [African Americans] to enter our white schools, patronize our hotels and cafes, enjoy social equality with the whites, then true kindness and sympathy requires me to advise you to make your homes in some other state." Wallace – Scandal erupts when Wallace shows up to campaign rally wearing a Donald Trump "Make America Great Again" hat. Thurmond – Being introduced to his successor and current South Carolina Governor Nikki Haley (the state’s first non-white governor and 2006 recipient of the Strom Thurmond Excellence in Public Service and Government Award). It’s a tough call to say who wins the battle of the mid-20th century Southern strongmen. Though it is unlikely that either could win a nationwide election today (because of their history of opposition to civil rights), we’ll give the edge to Thurmond since he won Wallace’s home state of Alabama when he ran for president and Wallace failed to win South Carolina during his run. More points are awarded to Thurmond for serving in the U.S. Senate for almost 50 years after his failed White House bid (he died in office in 2003, a few months shy of his 101st birthday). Wallace would follow up his run for president with several more stints as Governor of Alabama (including a short stint as First Gentleman of the state when he was term limited and had his wife Lurleen run for election instead).